Peace Church Variety Show and Silent Auction! Sunday, May 19th, 2019 @ 3pm. Silent Auction too! This year’s theme: “A Blast from the Past (19 shows)”. Pick a song from the 347 songs in the last 19 shows and sing to it, dance to it, play in on the piano or any other instrument you choose. A list of songs and LOTS more info can be found in the Narthex. In the spring of each year, Peace hosts a themed Variety Show. Peace members and their friends and family along with many of our musical groups, sign up to sing, dance, play an instrument, perform a skit or share whatever creative ‘talents’ they may have. The 2018, Let’s All Go to the Movies, variety show featured 77 movie stars performing in 22 different acts. Check out the trailer…. 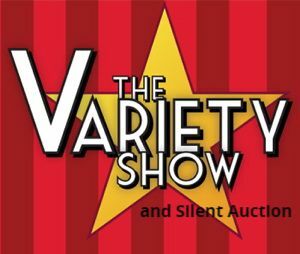 Following the Variety Show each year, the Silent Auction at Peace is a don’t miss! ‘Themed’ baskets are donated by Peace families and local businesses as a way to raise money for Peace Ministries and a designated outreach. Baskets small and large, ranging in value from $5 to $500 are on display and ready for bidding in Fellowship Hall. There is also “Kids Only” section for children to purchase tickets for a chance to win one of the ‘kiddo-only’ baskets.